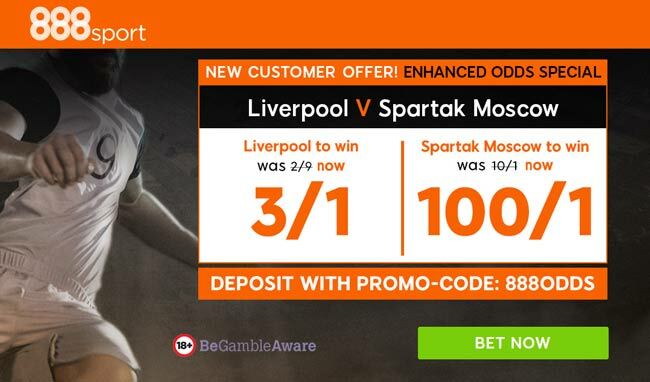 Liverpool host Spartak Moscow in their last Champions League Group E fixture on Wednesday night, looking to avoid defeat in order to progress to the knockout stages. 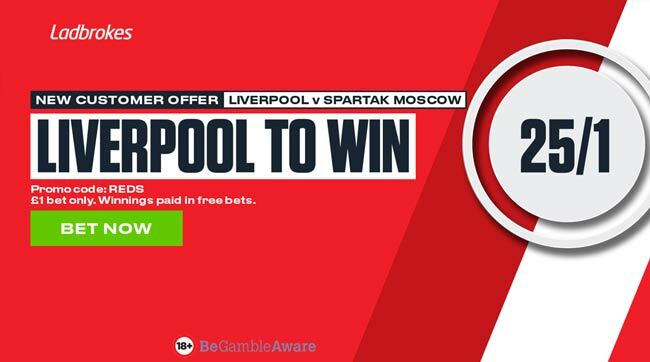 Read here our Liverpool vs Spartak Moscow betting preview with predictions, betting tips, probable lineups, team news, enhanced odds,exclusive free bets and no deposit free bets bonuses! Liverpool will guarentee first place with a win. A draw would be good enough to secure the 2nd place at least. 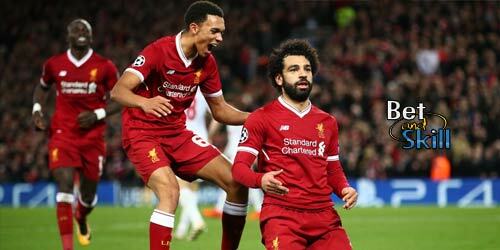 This would have been a dead rubber for Liverpool had it not been for a second-half collapse in Sevilla a fortnight ago (3-3 after the first half ended 0-3). The Reds are scoring goals for fun just now as in only one of their last eight matches in all competitions have they failed to score three or more goals. Jurgen Klopp's men have bounced back from that disappointing result in Spain by following up a draw against Chelsea with convincing wins at Stoke City and Brighton in Premier League. They have not lost a competitive home match so far this season, winning seven and drawing four games at Anfield. Jurgen Klopp is expected to make wholesale changes to his starting XI, having one on next weekend's Mereseyside derby against Everton. As a result, the likes of Mohamed Salah, Jordan Henderson, Roberto Firmino and Georgino Wijnladum are expected to be rested. This will allow Alex Oxlade Chamberlain and Daniel Sturridge to partner Sadio Manè up front, as well as Emre Can and James Milner to start in midfield. Adam Lallana is also expected to get minutes as some stage while Joel Matip and Nathaniel Clyne are out through injury. Spartak Moscow are also in need of three points, with a victory taking them through and any other result condemning them to the Europa League. Their only win in the Champions League group so far came on Matchday 4 when they hammered Sevilla 5-1 in Moscow. Massimo Carrera's men have hit a fine run of form with the 2-1 defeat away to Sevilla at the start of Novemberlast month being their only defeat in 19 matches. Plus, they have already held Liverpool to a draw this season. Domestically, Spartak are fourth in the Russian top flight, 8 points shy of top spot but they have won each of their last 4 league outings. Giorgi Jikia returns from suspension for the visitors and should start as left back, with Andrey Eschenko, Serdar Tasci and Ilya Kutepov completing the four man backline. Former Sampdoria midfielder Fernando and Denis Glushakov are likely to anchor the midfield while the lone striker Luiz Adriano will be supported by a trio of offensive midfielders - Quincy Promes, Ivelin Popov and Aleksandr Samedov. The likes of Georgi Tigiev, Jano Ananidze, Dmitri Kombarov and Artem Timofeev are sidelined. 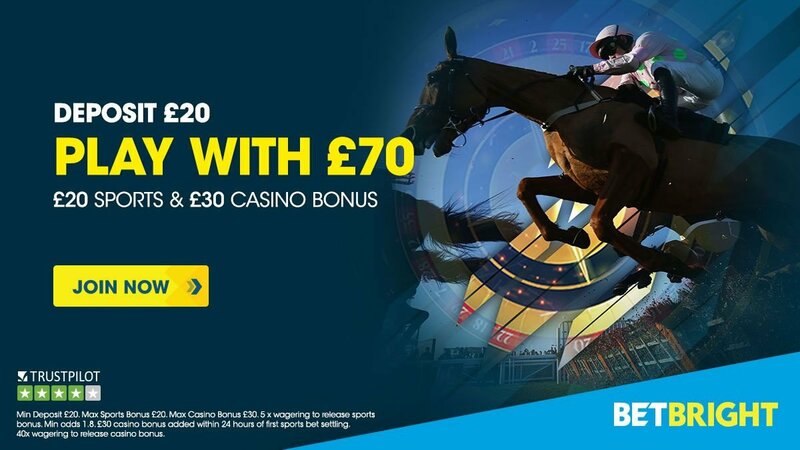 "Liverpool vs Spartak Moscow betting tips, predictions, lineups and odds (Champions League - 6.12.2017)"